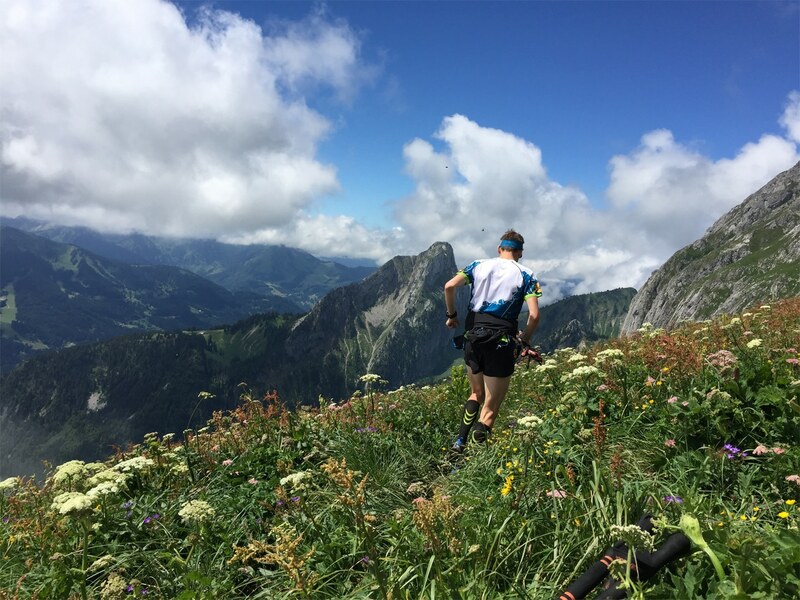 Trail running is running over paths and trails that you do high in the mountains, and if you do that using your hands now and again, then now we’re talking about Skyrunning. 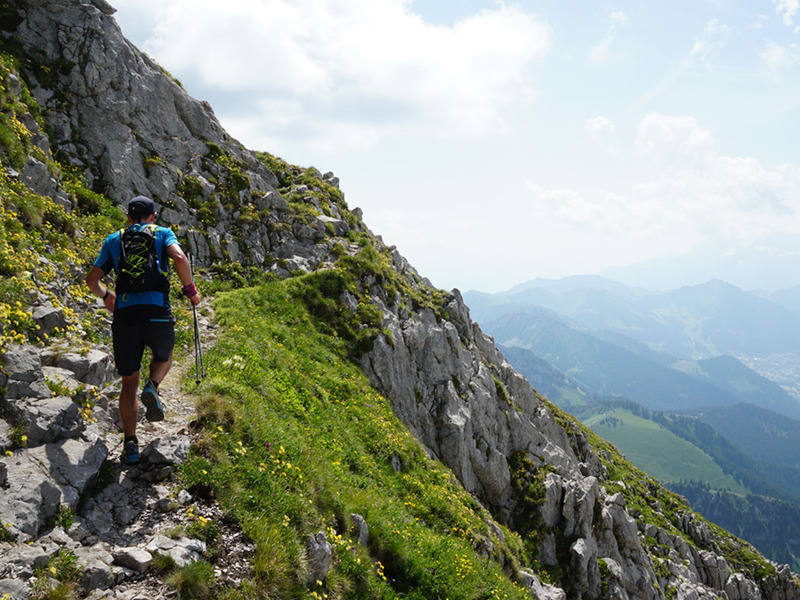 Running shoes with plenty of traction, a small backpack for a bit of food and water and an extra jacket and walking stocks – that’s all it takes to experience a day of fun in the mountains. 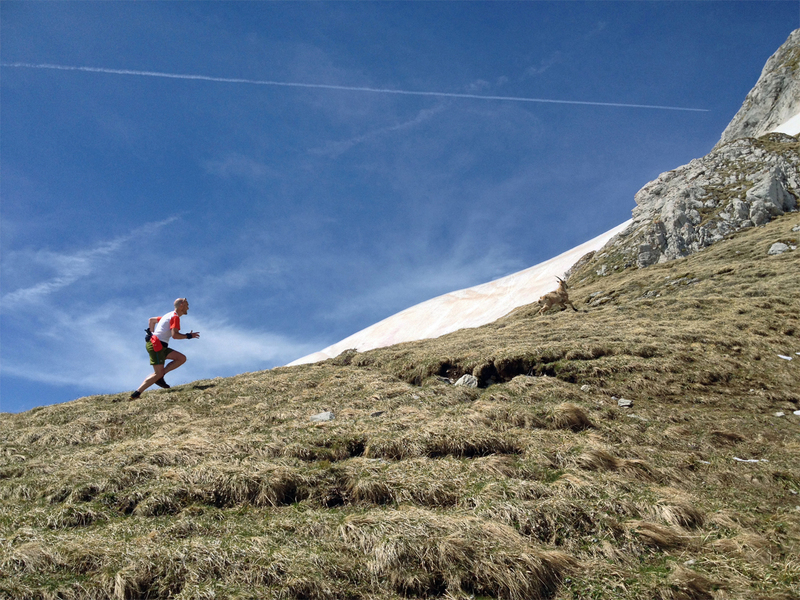 And because you are running where possible, you see even more of the beautiful scenery. People have been running in the mountains here for years, but since 2017, we have had an entire network of marked trail routes in the PDS. The trails are well-marked with numbered signs and color to indicate which route you are walking. An app is also available showing all of the trails, and the route, distance and altitude are indicated for each trail. You can download the app for Apple and Android. You can also find all the trails on the Trace the Trail website. 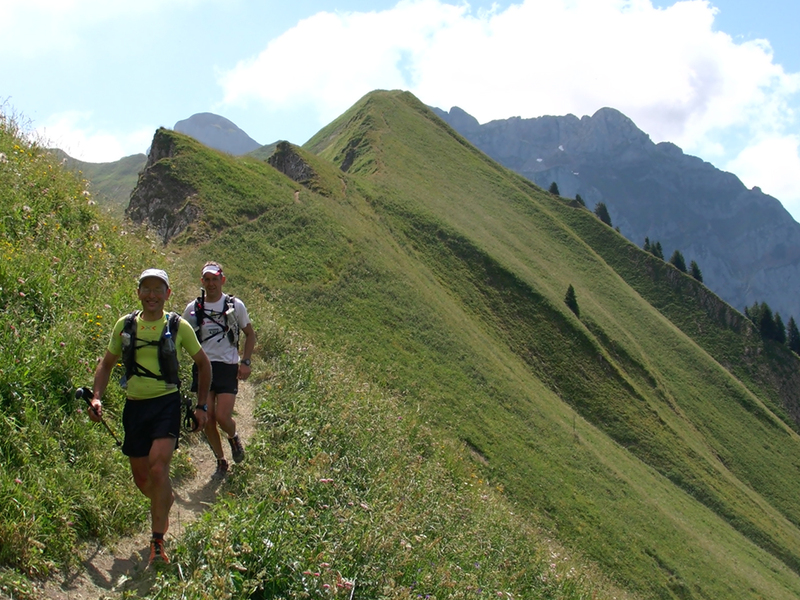 Numerous races are held each year here in the Portes du Soleil, varying from FCs to a long race around the Dents du Midi. The KMV de Nantaux is steep, short and fast, the VK Mémorial Christina Rey-Bellet goes over a steep grade and has chains, the Trail des Dents-du-Midi is one of Switzerland’s older mountain races, the Trail des Crêtes du Chablais traverses many ridges and has various distances, such as the Morzine and Samoëns trails. 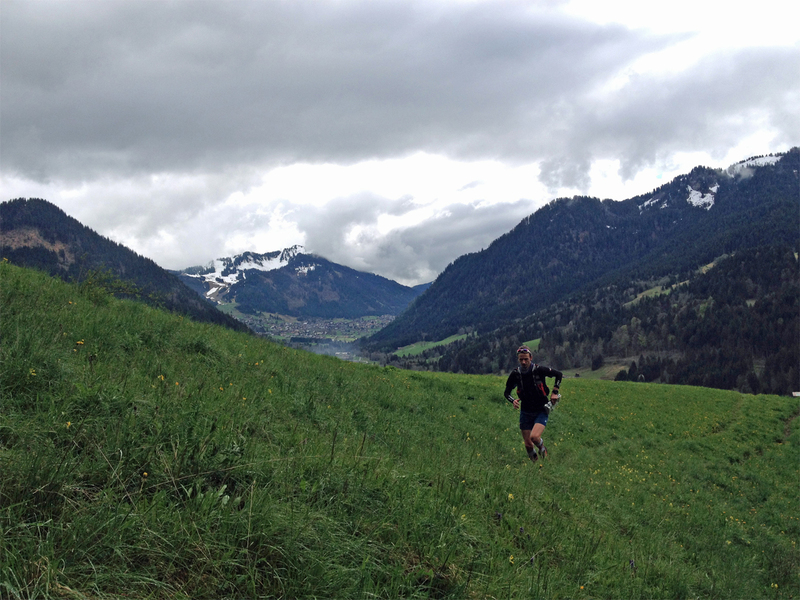 And the Torgon Trail and the Monthey d’Illiez are the first trails of the season. 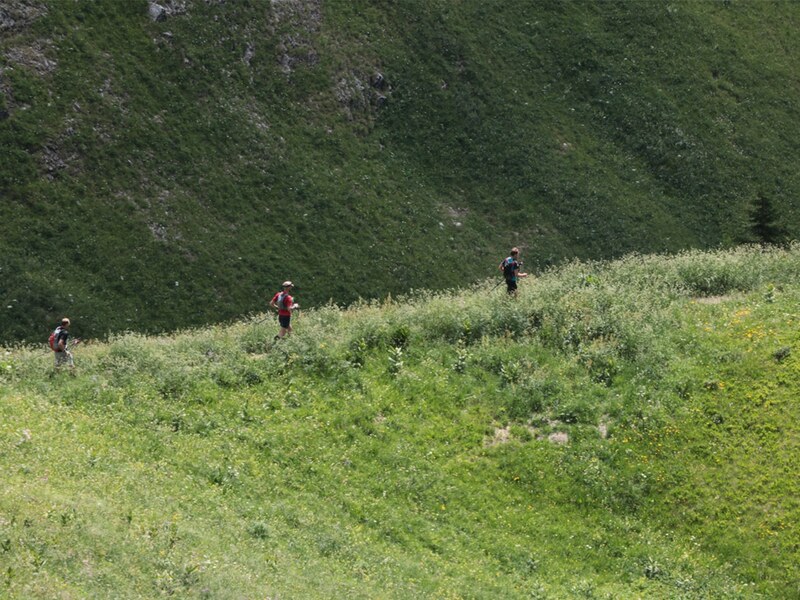 There is also the very difficult Ultra Tour du Môle, which has both a skyrace and vertical kilometers. 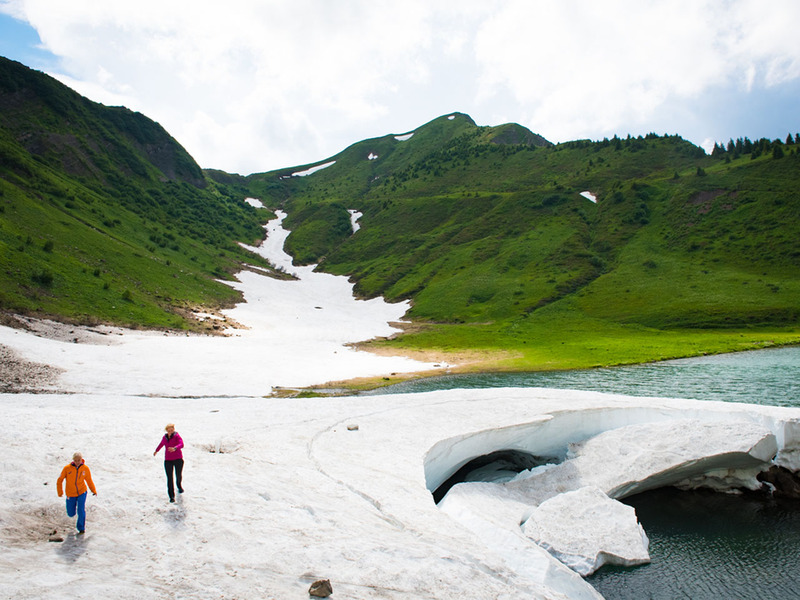 The hotel is the ideal base camp from which to explore the trails in the area. 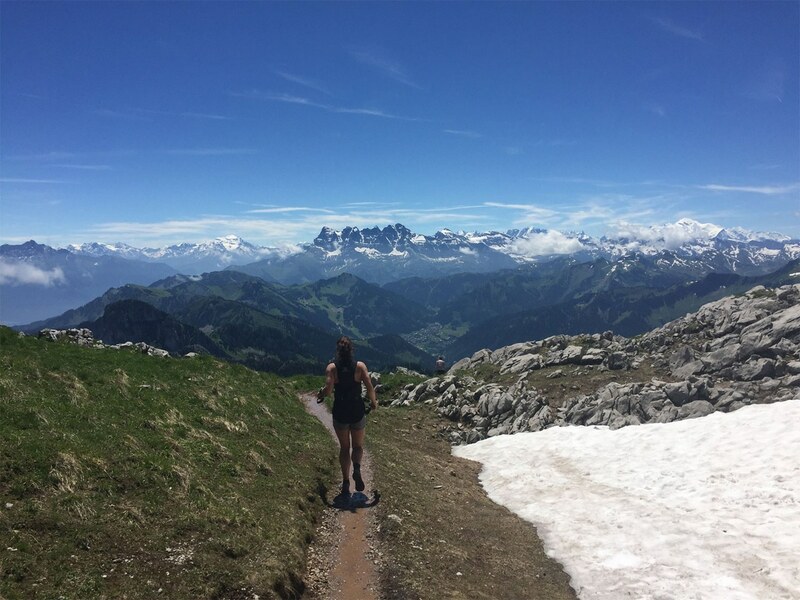 Alke knows all the paths in the valley and therefore can always offer you a beautiful route based entirely on your capabilities and wishes. 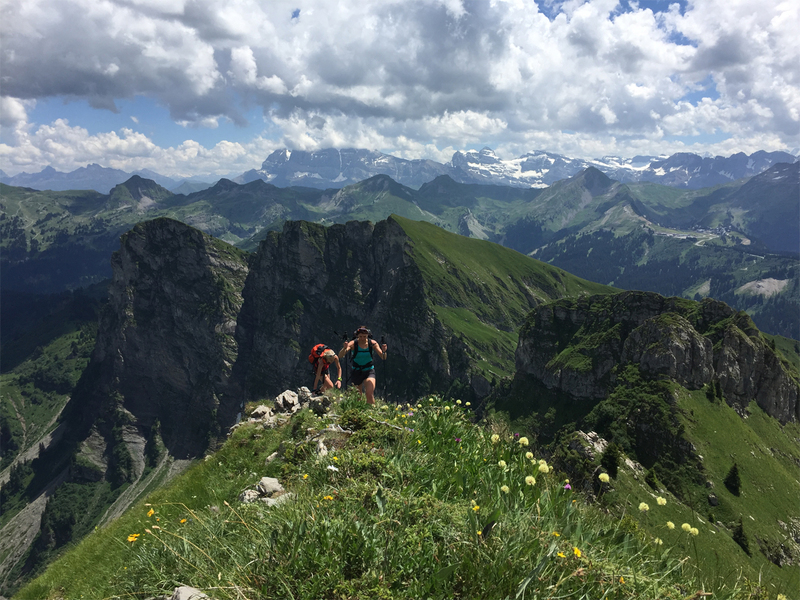 From a relaxing ascending route over wide paths to winding mountains paths up and down, to steep Vertical KM and the true skyraces over ‘Alke paths’. 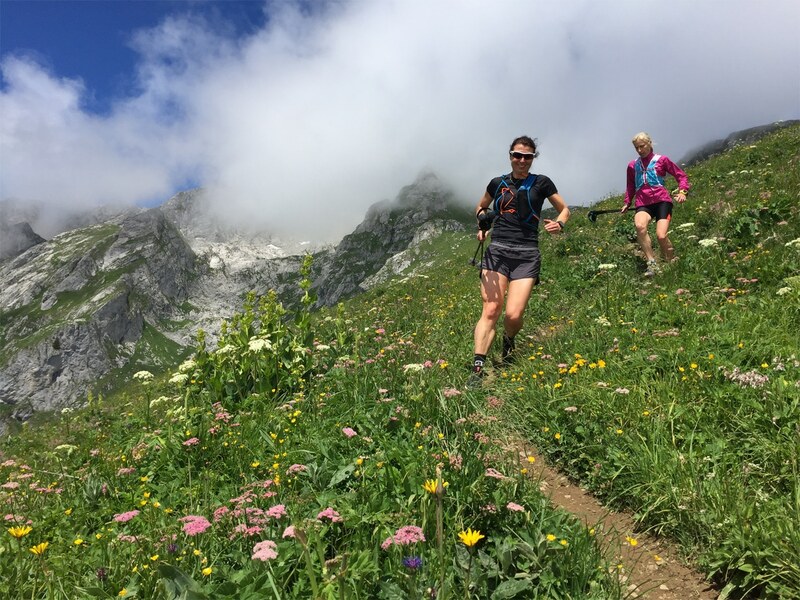 Those paths have become a fixture in the Dutch trail world, actually because they are often not official paths, but they are lovely and exciting paths that take you to the most beautiful places in the Chablais. 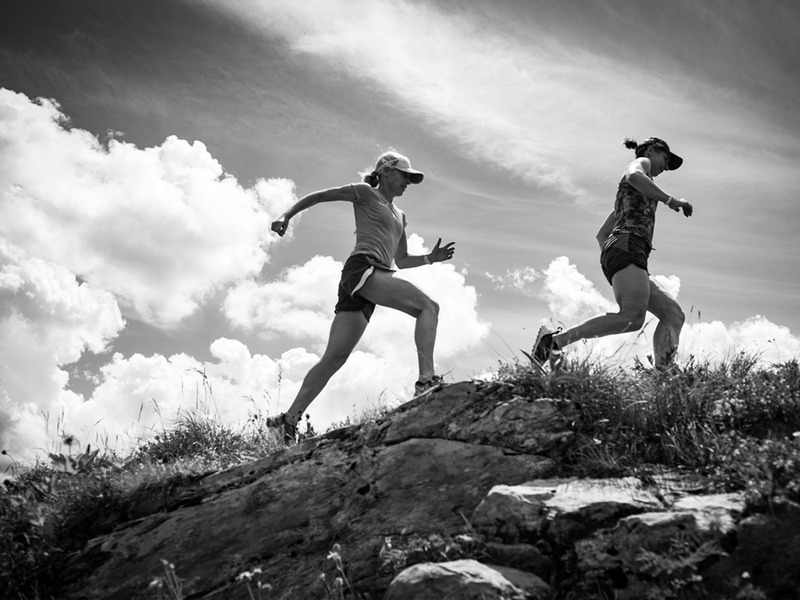 This term was coined by the participants in the Esprit Montagne Invitational, an annual event in which the best mountain running men and women from the Netherlands and Belgium come together to explore the trails and have loads of fun. There is also a Team Esprit Montagne trail. The team is sponsored by the hotel so that they can train here and prepare for the races in the summer. A lot of conviviality and fun go hand in hand with good performance.